The Xbox One is getting a slight makeover in time for E3. Microsoft has revealed a new Xbox One with a 1TB drive as well as a fancy new controller. The console, with twice the amount of storage as the previous version, slaps a matte black finish on the top instead of the semi-glossy one the other had. The new 1TB model will cost $399 (or around £350 in the UK). For a limited time, Microsoft will also throw in Halo: The Master Chief Collection with the console. Microsoft also took the opportunity to update itsXbox One wireless controller. The new version will ship with all versions of the Xbox One from now on and comes with a 3.5mm stereo headset jack, which wasn't part of the original controller. This means that gamers are now free to choose the headset of their choice rather than one that plugged into the Xbox One micro USB port. The company said it hadimproved the quality of audio coming through the controller and increased the maximum audio volume on headsets used with this controller. It has also "fine-tuned bumpers for more consistent performance anywhere along the full surface of the bumper." The launch of the 1TB version means that the previous Xbox One, with 500GB of storage will now come down to $349 (UK - £299) permanently. In this day and age, where gamers download titles instead of buying discs, this will get filled up pretty fast. Of course, if you wanted more storage, adding a USB external drive has always been a (somewhat less than elegant) option. 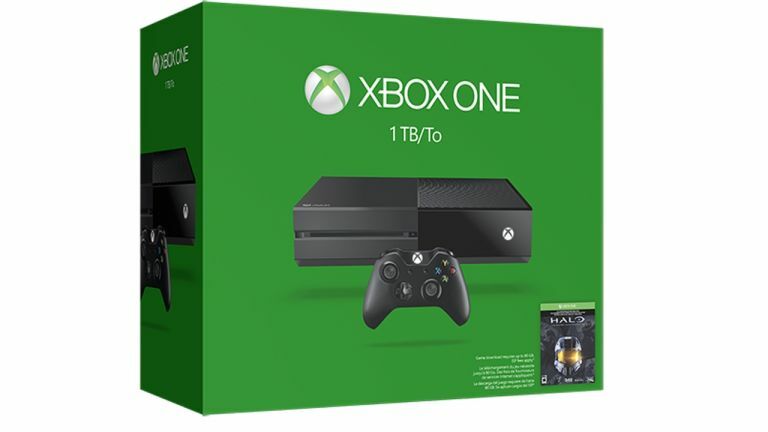 Xbox One 1TB consoles will start shipping to retailers on 16 June in the US and select markets later this month. Microsoft have yet to confirm full UK pricing details.